The last one in this first series, and this is the best! I was inspired by a find on pinterest again and although I have upped it a bit I have stayed true to the original. Thank you Dawn for the inspiration. Two colours, crumb cake and dapper denim. The gold sprinkle is splatter from the wink of stella pen. I'm not very good at this so need to practice, which means you will see lots more of it! 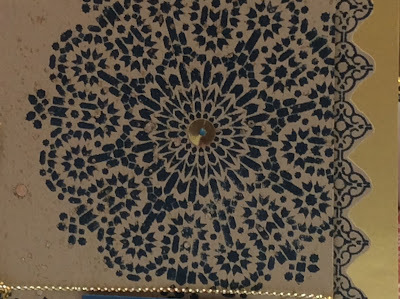 The gold sequins rather than being random have been used as part of the pattern along the edge and the centre of the mandalas. 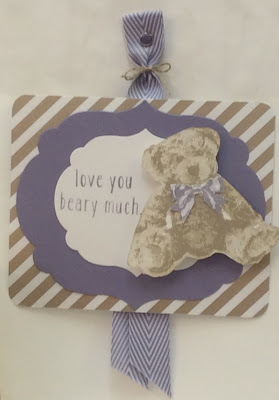 This is the simplest card of the series.... its cased from the catalogue. This is the one I started with, although its not exactly the same as the catalogue its based on that one on page 66. Not got your catalogue then message me to get one. A bit of fussy cutting and a very little daubing around the edges. 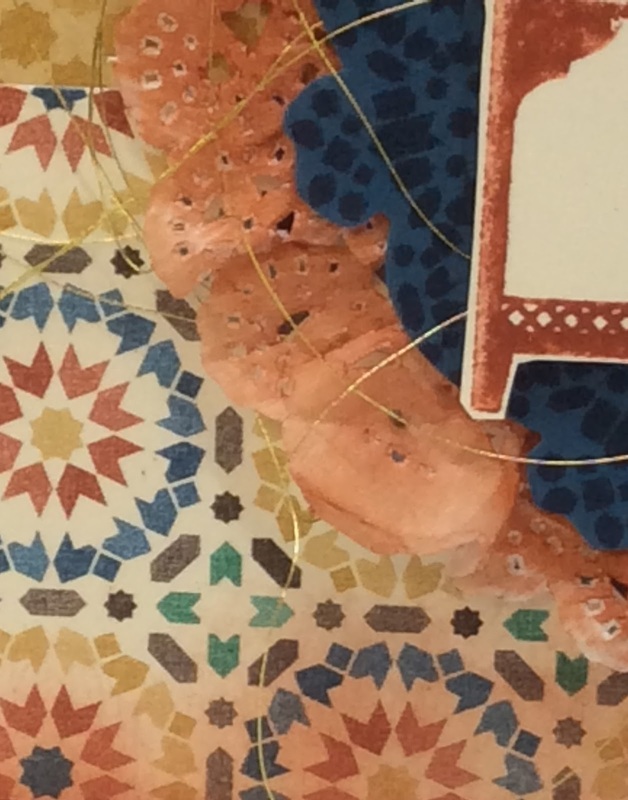 The gold sequins and thread just add that little bit of sparkle. The sentiment is from the sunburst sayings. 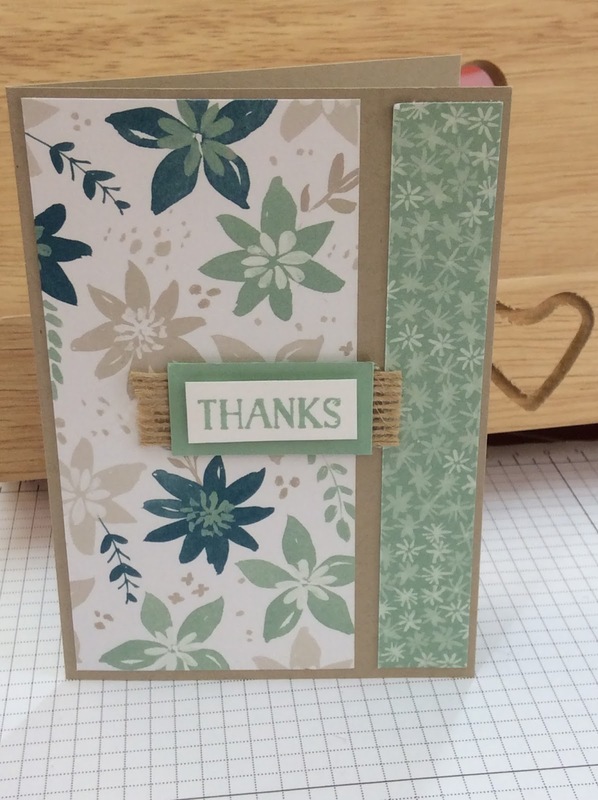 I think this is a lovely sentiment set and very underused. All items link to my online shop. A very different feel to this card, much simpler and clean. 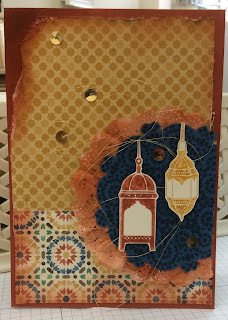 still using the moroccan nights stamps and designer paper. 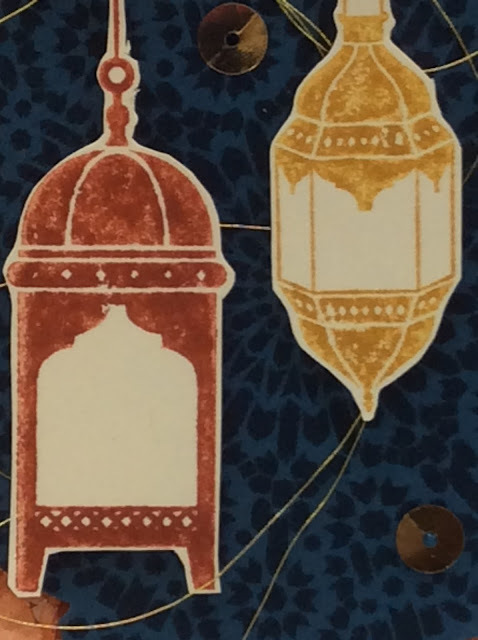 I have added a little gold foil and gold embossed the lanterns. This could make a christmas card, what do you think? Again no sentiment, but on this one you could use it as a note card. When I first opened the pack of papers this one my least favourite of the pack but with the gold its stunning. 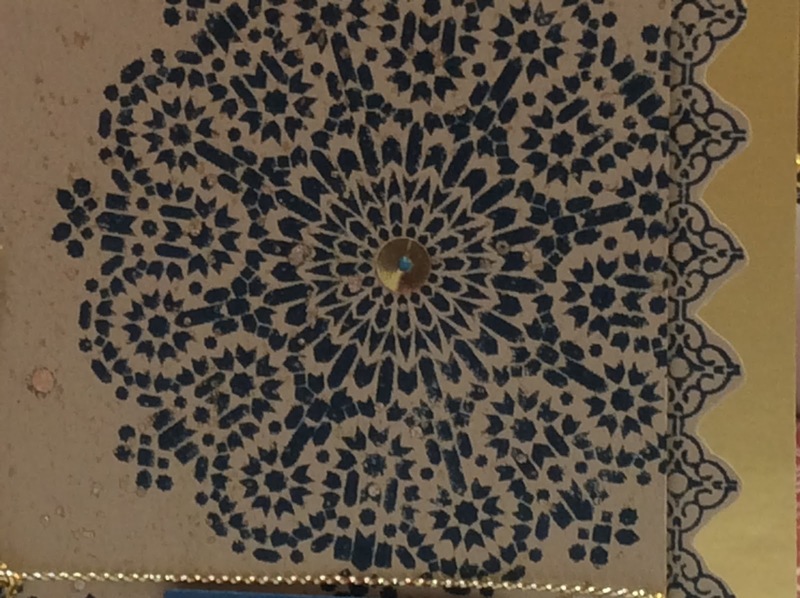 There is just that little dot of delightful dijon in the pattern which goes with the gold. Lovely. I think I have found my favourite set in the 2016 catalogue. You will be seeing quite a bit of this! 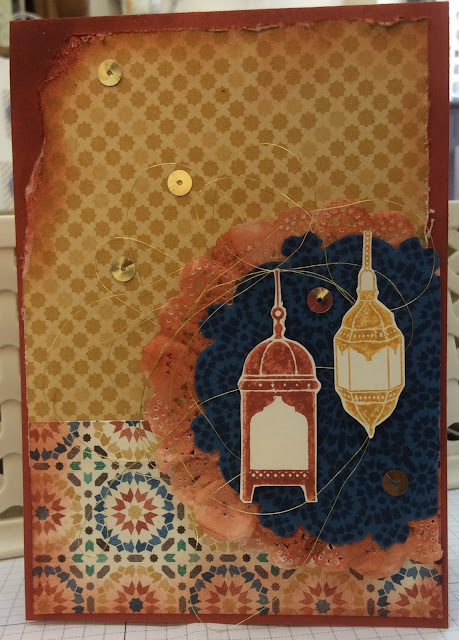 The first card in this series uses the stamps and some of the designer paper pack which is also beautiful, you definitely need two packs, one to use and one to stroke! 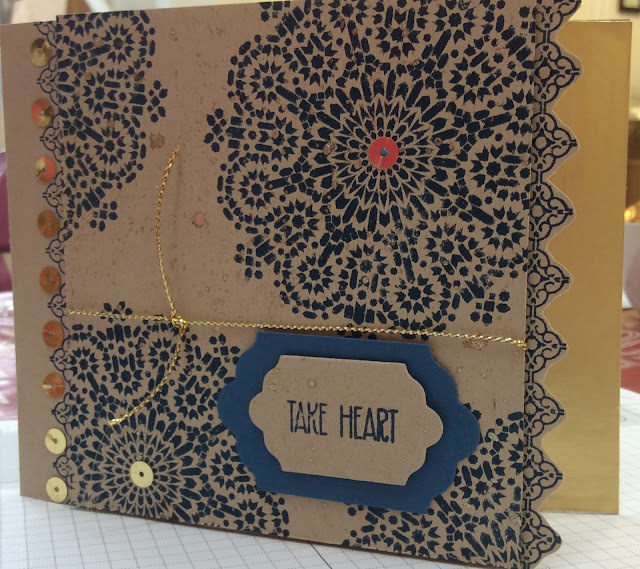 Its my style of card but based on this that I found on pinterest I have made it much more distressed and used quite a bit of daubing. 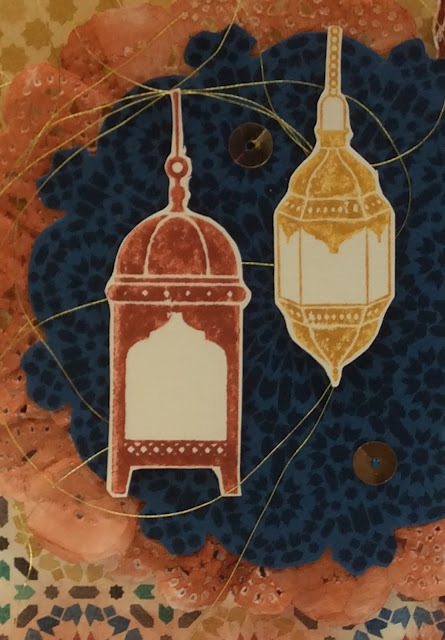 I have used Moroccan Nights stamp set and the designer paper both available in my online shop, the gold thread and sequins are also available if you haven't a few left over from Christmas. 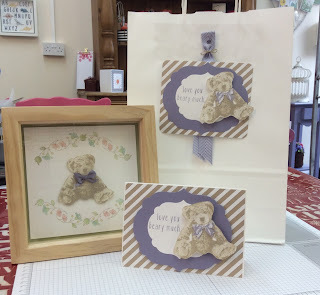 We have created the project with non crafters in mind but interesting enough for the experienced crafter. Our crafter noon tea falls in the middle of wimbledon so we have a strawberry theme. 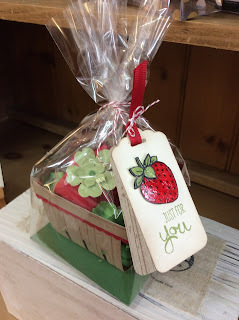 Each of the strawberries contains a Lindor strawberries and cream chocolate, it makes a lovely gift or you can keep as a treat for yourself! The highlight of the afternoon is the tea. It will be very traditional with the addition of strawberries and cream. This will be served on traditional china plates with pots of tea and china cups. We hope this will be a relaxed afternoon away from the hurly burly of saturday afternoon shopping. 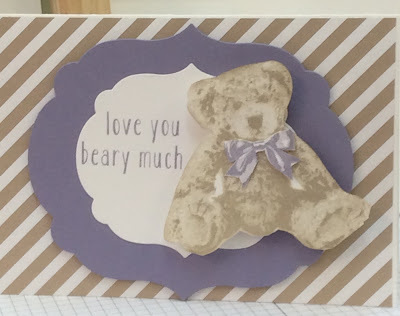 Here he is the one that lots of Stampin Up customers are oohing and aaahing over.... its baby bear. 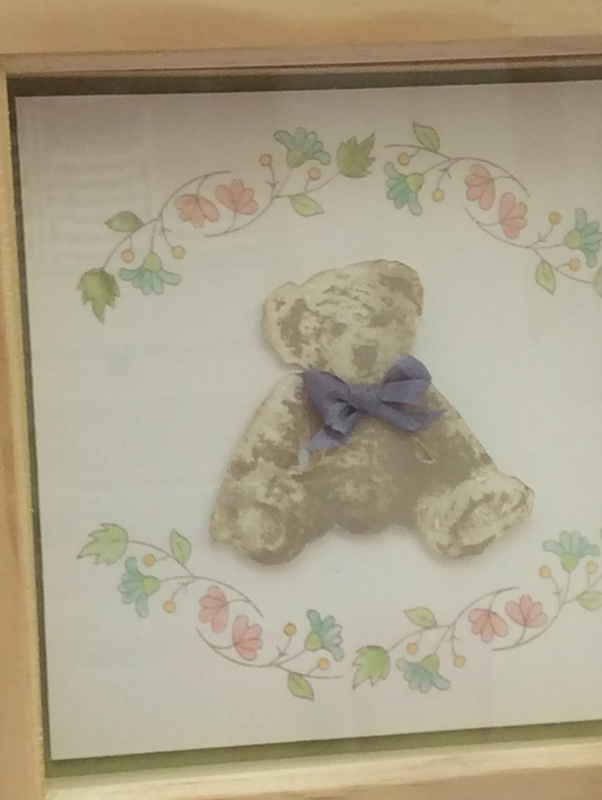 She started with the frame, there was much discussion about colour as neither of us wanted to go for blue or pink! 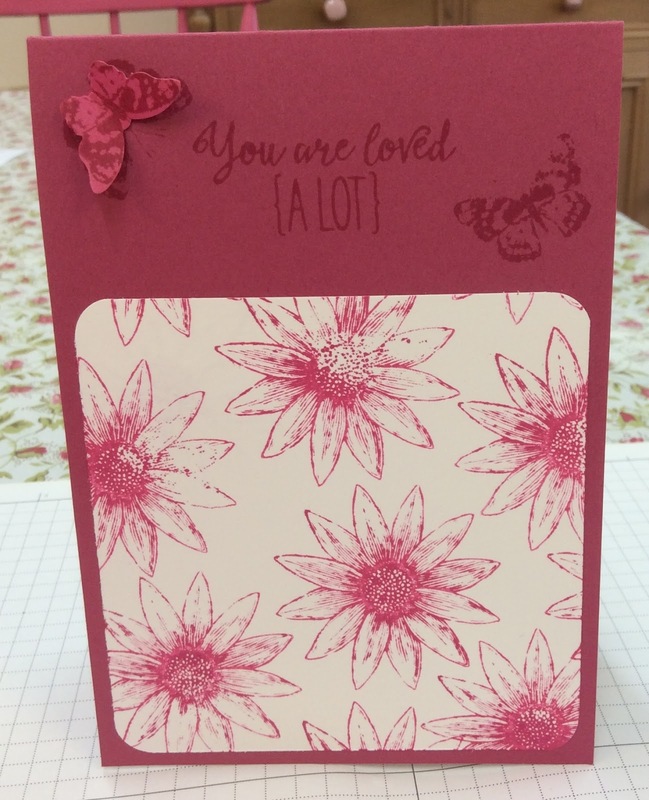 With a mixture of blue and pink flowers we settled on the wisteria wonder for the bow and the die cut matt layer on the card and bag tag. He really is cute. 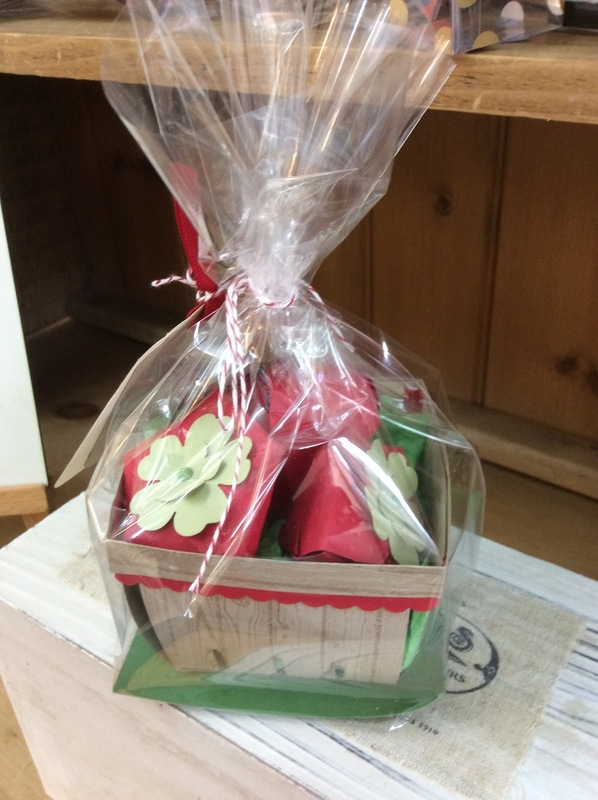 Wouldn't this make a lovely gift. A bit of a change today. I haven't done much Project Life for a while but I have been inspired by the new boxes of cards in the catalogue. Then I realised I had quite a few sets left so needed to use them up first before I ordered more. On the last day of August 2015 my other half finally got to do the item on the top of his bucket list....... fly a bi plane! This is a man who can't go up a step ladder to clean the downstairs windows for fear of heights!!! Our 3 boys bought him this experience for his 60th birthday. I have created two full pages . Page 2 first as this has the man in question in his goggles and flying jacket. He got to fly the plane for a little while too. Page 1 is about where we stayed as we had had a previous trip south to do the flying that was cancelled due to the weather. We had stayed in a not very nice pub somewhere so we could visit a cathedral. This time the pub was thatched we had a lovely little cottage at the back, beamed ceilings and the pub food was wonderful. I highly recommend The John Barley Corn if you ever go to visit Duxford flying museum which is well worth a visit. 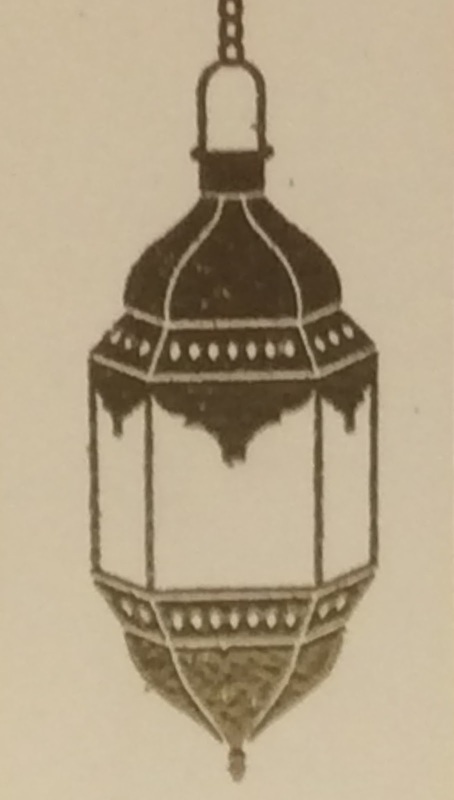 The pictures below are of the beam over the bed where we stayed, these are the ones that are in a single line of pockets. The one below that, is just pictures of the biplane behind the beam pictures... if that makes sense! 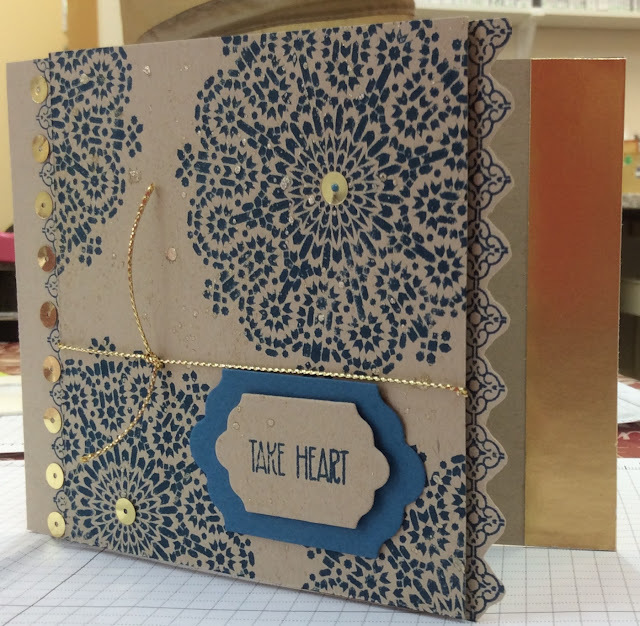 I so love Project Life, must do more! September next, not sure what we did in September must get the photos printed. Following on from yesterdays post I thought I would continue with this paper stack but do something a bit different. 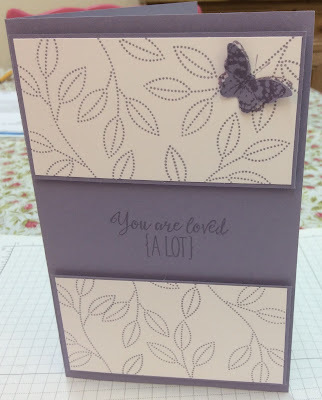 I hadn't used the 'Painter's palette' stamp set so these are my starting point, I have only used the easel stamp from the set and there are many others but I have gone to the Tin of Cards stamp set for the sentiment, these are lovely I have also used some of the new 'In colours", sweet sugar plum, emerald envy and peekaboo peach. 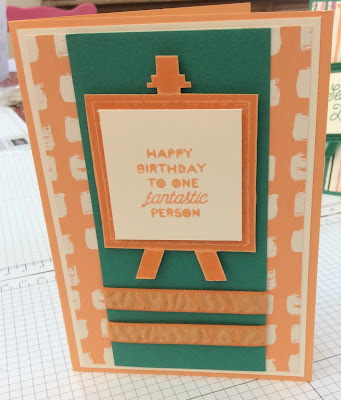 I quite like this brick design paper. Just the two shades of pink make it very easy to use. I love the stripe, can't decide if its PJ's or a deckchair! And..... the emerald envy has really grown on me. Not sure about the peekaboo peach, this brick paper was a bit in your face. I thought the two colours went together quite well but the design element is missing from this one, back to the drawing board tomorrow with this one! The sentiment is great tho'. 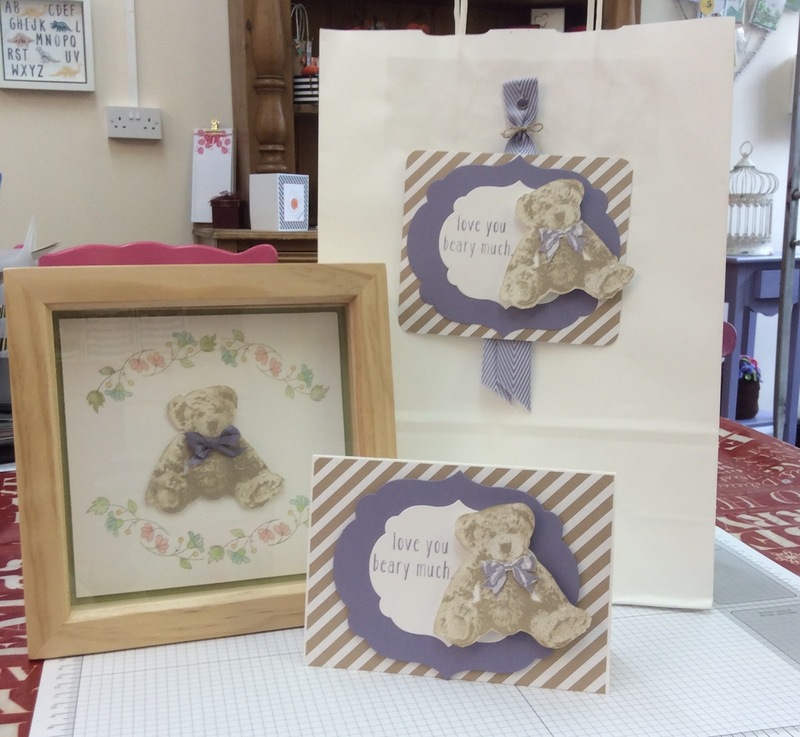 One of the swaps we got last Monday was from Paula Gorry the head of Stampin'Up UK. She came to training and joined in telling funny stories along the way as she usually does. Her swap uses one of the really lovely sets of paper that were not on pre order for demonstrators and I haven't actually bought it yet but it is on my wish list! 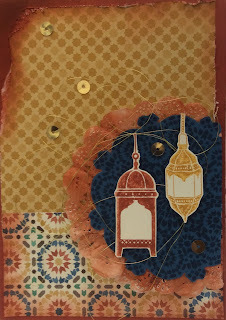 This is the Blooms and Bliss designer paper, she has also used the new Burlap ribbon which is still on my wish list. Really liking this style of card I decided to have a go with the paper stack bought on pre order. I have used a couple of the pieces but non of the multicoloured swirly pieces! opening day at 'Our Creative Den. The paper I have used is Playful palette stack, I have teamed this with sweet sugar plum ink and card for the sentiment. As I had no burlap ribbon I used some of the jute ribbon from the old catalogue and coloured it with a sponge. Which one do you like best? Think my favourite is the fourth one down, the pink grid style with a small length of swirly. 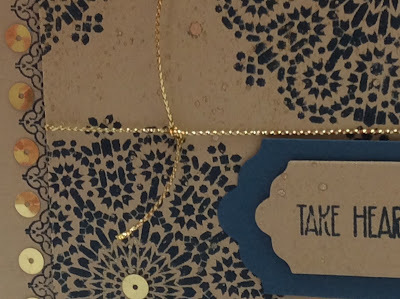 I know this post is much later in the day than usual, why don't you add your name to the email box, then you will be notified when my post goes live. I don't get the email addresses, it just ensures you know when there is something to read here. Many thanks to all those who do use this system and everyone else who reads my blog. I love the comments I occasionally get and its good to know you are all out there. Thanks. The Fox stamp set is not one I have bought yet and it WAS quite a long way down my list of wants, however after today it will be on my next order. 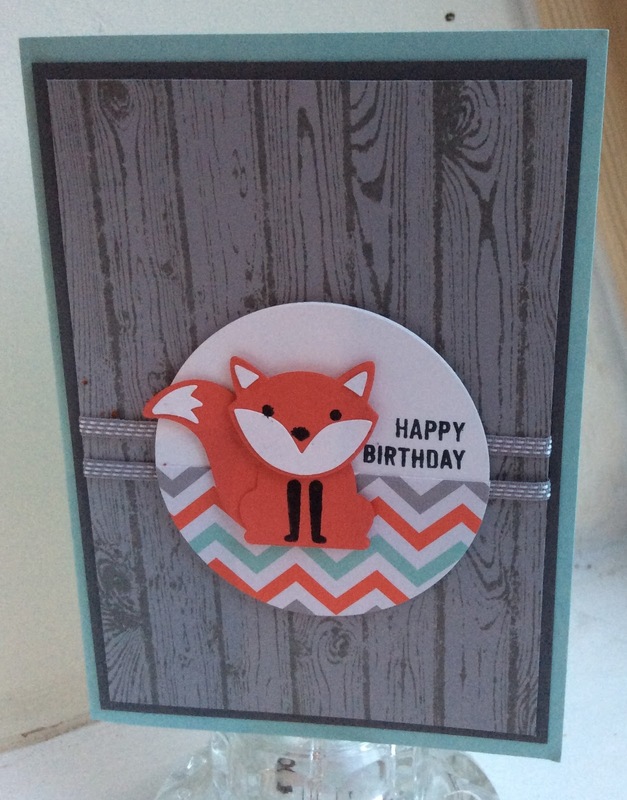 Firstly the now famous z fold card uses the Foxy Friends stamps and A Little Foxy Designer Series paper stack. This second card uses the 'Hardwood' stamp, a trusted and well used background stamp. 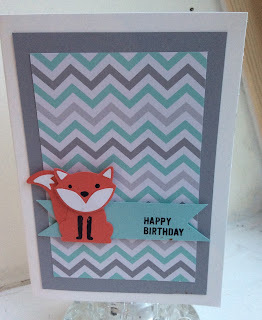 On this card the fox is just punched out of the orange card, then the highlights punched out of white, the only stamping is the legs and the eyes and nose which are on one stamp, (there are 3 faces to choose from). This is a large stamp set with 29 stamps. This last card is the simplest, layering up the designer paper with smokey slate card. The banner is pool party and just the sentiment stamped. The paper stack is lovely, quite a few of the sheets will make good Christmas paper too, can you picture this zig zag one with snowflakes on? To top off the story of the fox I have a couple of swaps that I received to show you, these are lovely ideas so thanks Sam Webster and unfortunately I don't know who the other one if from....no name on it but both are lovely makes, many thanks. Love this little cat and fox made by Sam, each one contains a chocolate. And this lovely little pyramid box contains something but I haven't opened it yet. Thank you. I noticed I posted week 3 last week but what had happened to week 2,...... it was still in my camera! Here we have week 2, all about matting and layering. 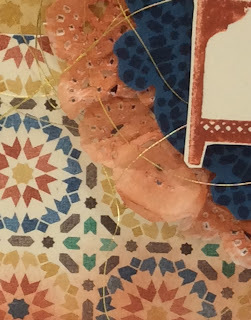 When we have crafted for a while we can forget how confusing the cutting of card bases and layers could be. Starting with a sheet of A4 card we will be looking at the different styles of card you can get from a standard C6, tent fold, then landscape C6 and tent fold, how these are cut from one sheet and the measurements involved. Again we will make three cards, starting with a very easy one then getting progressively more challenging. 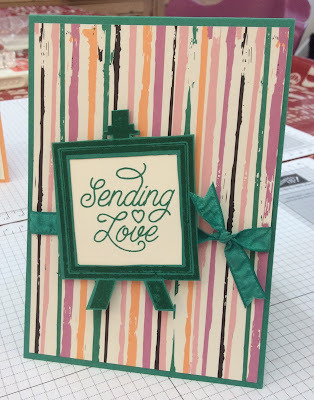 The first one is a simple second layer with two rounded corners. The next one has a stamped sheet cut into two these are then layered onto a piece of card matching the base card. The third one is one of my favourite styles, looks impressive but quite easy to create. Tomorrow is quarterly training. 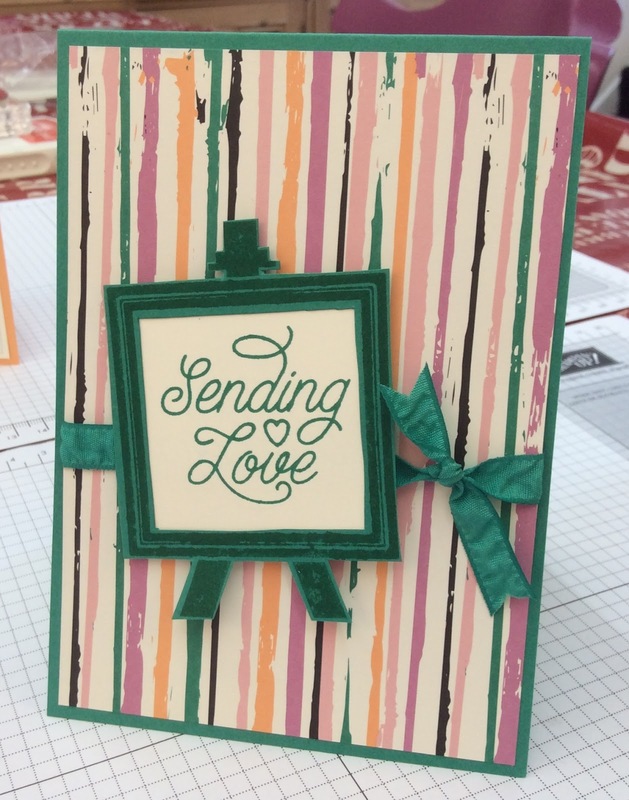 Its a lovely creative day when lots of Stampin'Up demonstrators get together and craft. We always do swaps, and of course this month its new catalogue makes. 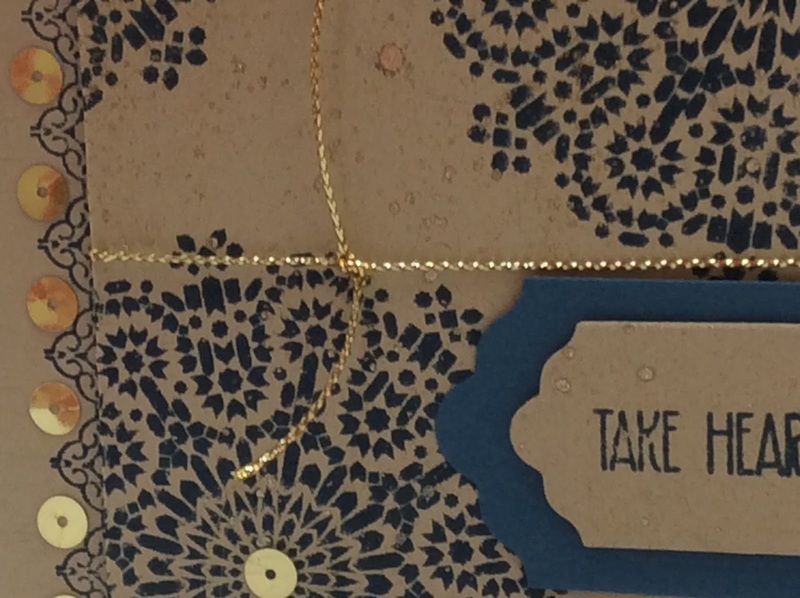 Having had my opening day at Our Creative Den yesterday my swaps have had to simple and quick. I haven't seen anyone else use the fairy stamps so I thought I would use them. They are really pretty, I have ideas for a 3D make with these.